Donations are now being accepted. 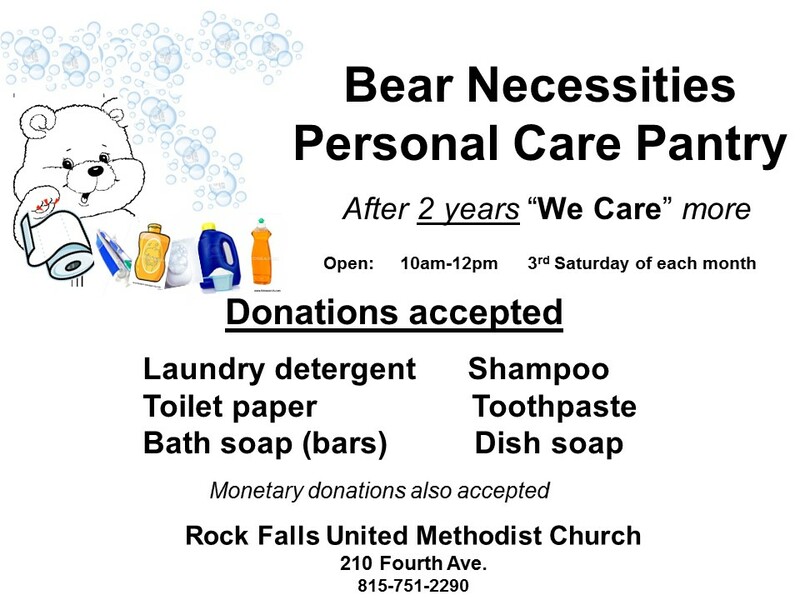 All donations should be clean and left in the stage room and may be dropped off during regular church office hours – Monday through Friday, 9 am – 1 pm, or by appointment. Soup Supper – Save the Date! 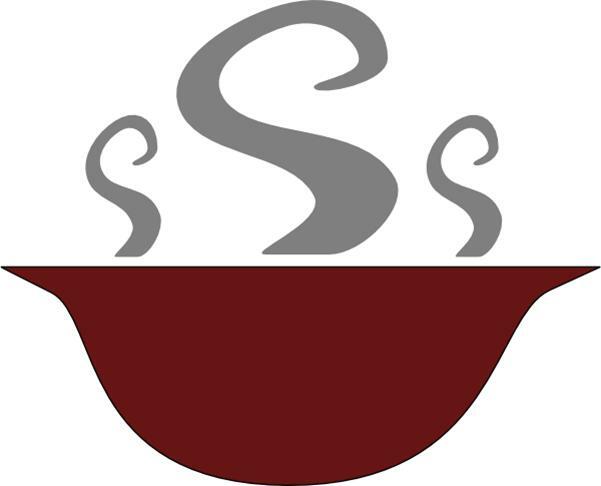 The United Methodist Women’s annual Soup Supper is coming up on Thursday, March 31st from 4:30 PM until 6:30 PM. SCRIP Cards are a great way to help our church earn money thought your family’s everyday purchases. SCRIP Cards are available for many retailers in our area and beyond. To see a complete list, pick up an order form in Cafe’ Brandt. If you have questions about the SCRIP Program, or would like to place an order, please contact Suzie Branch or Danielle in the Church office. Join us at 7:00 p.m. on Wednesday, March 5, 2014 for a very special Ash Wednesday service. All are welcome as we begin the season of Lent. 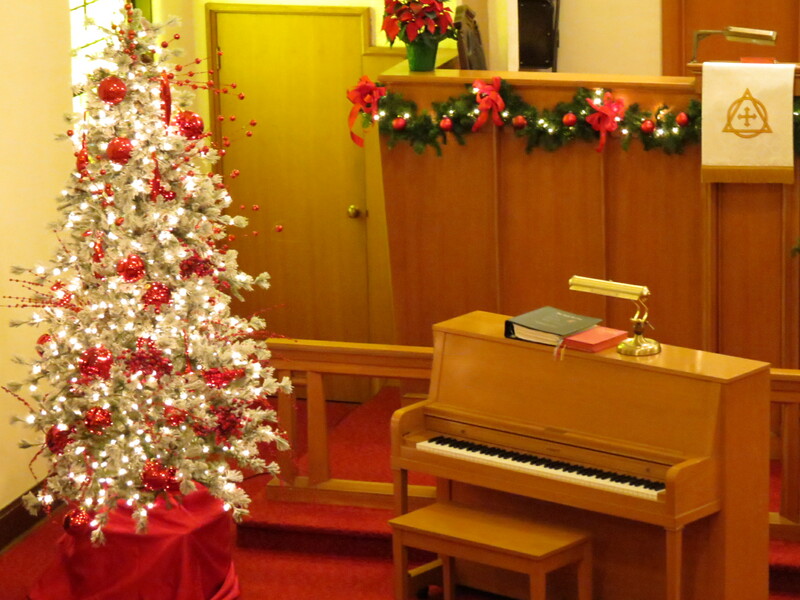 A wonderful time was had by all who came out on Sunday, December 1st to help with the annual Hanging of the Greens – the decorating of our church for the Christmas Season. A huge thank you goes out to all who took part. Please visit our photo album to watch the transformation take place. 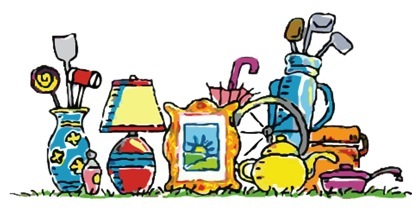 This page will share periodically news about upcoming events and activities at RFUMC!